Colors:Transparent or nontransparent with Red, White, Blue, Green, Yellow etc. Shape of seal:Curved Bottom Seal, Straight Bottom Seal, Side Seal, Point-Cut Rolling, etc. 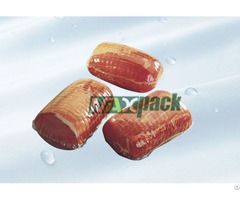 Application: Fresh or frozen meat with bone or without bone, cooked-in Items, seafood, cheese etc. 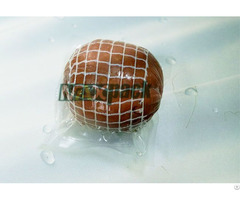 MAX barrier packaging is mainly used for fresh meat, fish, cheese, cook-in products and other products which require high barrier for oxygen and water. With excellent oxygen and ordor barrier property, it keeps oxygen away from the meat to slow microbial growth and extend the shelf life of chilled meat and can keep the color of chilled meat natural for a longer time. With high water barrier property, it makes the meat shelf-life be extended to 30-90 days at 0 to 4 ℃ storage environment and protects your products from water loss or decaying. It prevents you from profit loss due to the water loss and surface drying of the meat by using common bags. Compared with other common film, the stretch technology is introduced to shrink film manufacturing process and the tensile strength is doubled. It provides possibility to reduce pollution and packaging costs by decreasing the thickness of the packaging film. The film producing process is a kind of organic molten co-extruded physical composition of several barrier materials which is green process for environmental protection, so there is no worries of residue solvent pollution. 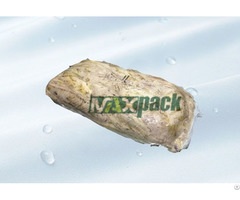 Business Description: Maxpack is a professional flexible packaging supplier offering customers a very wide range of high barrier packaging materials and one-stop solutions for food packaging. It possesses advanced 5-layer, 7-layer, 11-layer co-extrusion lines, and is capable to produce high barrier functional blow-up, blow-down and cast films with PA, EVOH and PVDC as barrier layer. 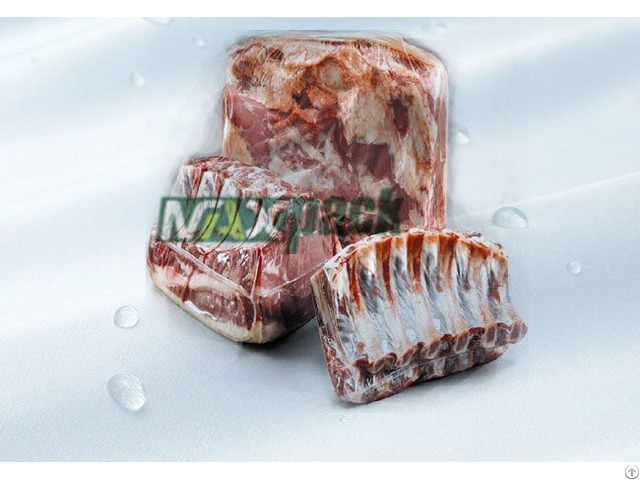 Maxpack’s main products-multilayer co-extruded high barrier film and bags, are suitable for the fresh retaining packaging of meat, sausage, seafood, cheese and agricultural products such as vegetables, nuts etc. With advanced technology, excellent quality, high-quality service, Maxpack is devoted to assisting customer in developing better packaging solution to achieve longer shelf-life, better product image, less storage space and lower logistics cost. Management idea: Honest, Outstanding, Excellence. We are guided by “honesty-oriented” principle of service, with outstanding quality and excellent after-sale service for a long-term development with customers.